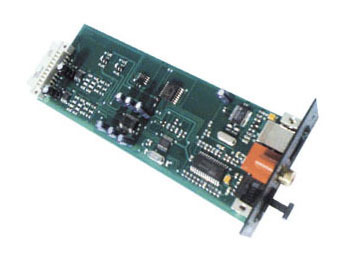 The optional USB DAC-Card has three inputs. One optical and one coaxial-input, both accept all standard digital-signals of CD-players, Digital-tuner and other digital sources. At the third, the USB-input, you can connect a suitable PC. PCs using as system software WINDOWS XP or a newer WINDOWS version, as well as most Apple-computers (e.g. iPad) recognise the USB-port automatically. The installation of any drivers is normally not necessary.